AEC Daily Education for Autodesk® AutoCAD® provides hundreds of thousands of credits to construction professionals. We have more USGBC/GBCI approved courses than our competitors. We get millions of page views every month. Our users spend twice as much time on our site and view double the number of pages than the industry average. We have registered learners in each of the 150 biggest architectural firms in the United States. In 2011, courses taken on AEC Daily's website grew by 41% with 77% of learners coming from the United States and 13% from Canada. While architects represent the majority of credits earned on AEC Daily, other design professions are growing quickly. Engineers took 93% more courses and the number of registered interior designers grew by 71% in 2011. But even though our reach within the industry is unusually broad, we don't sell you circulation, views or impressions. The only part that should matter to you is that we deliver measurable results. When a learner takes an AEC Daily course, they spend an average of an hour with the material. And since they selected your course from the hundreds in our catalogue, they must have a very specific interest in your topic. So when your sales people follow up, learners are pleased to get more information about your product. Reach - Not only do you know exactly how many people took your course, but you get their name, address, phone number, email and more. Because, while AEC Daily is the provider, you are the instructor. 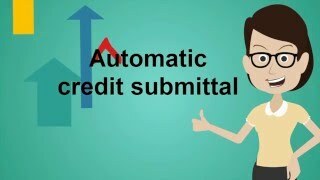 And you can be assured that the learner's contact information is accurate because they want the credit to be properly registered. Quality - For more than a decade, AEC Daily has been known for our exceptional commitment to high-quality education. That is one of the reasons why we are the only company to have won the American Institute of Architects (AIA) AIA/CES Award for Excellence for Internet Platform Providers. 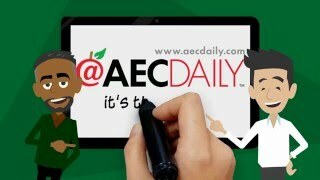 AEC Daily has the respect of the industry, and credibility with learners. Cost-Effective - For about the price of a single full-page ad in a print publication, your education will be available to all architects, engineers and other construction professionals for an entire year. Every month, you will get qualified leads for your sales people to focus on. How much time does anyone spend looking at your ad? Of the circulation claimed by a magazine, how many people notice your ad? If they do, do you think they spend ten seconds looking at it? Thirty seconds? One minute? Before installing this application, please close AutoCAD. Run the installer that was downloaded, then open AutoCAD. Once you are in AutoCAD you will see a new menu for AEC Daily. If you don't have an AEC Daily Account, you will need to create an account to view the CEU courses. To uninstall this plug-in, click Control Panel > Programs > Programs and Features (Windows 7/8/8.1/10) or Control Panel > Add or Remove Programs, and uninstall as you would any other application from your system. 320 Harry Walker Pkwy. N.
Linking to AEC Daily: For information on how to link to AEC Daily, including URLs and banner graphics, please visit our Link to Us section. Company Name: Global Product Data, LLC. 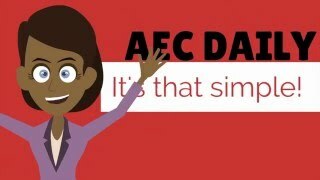 AECDaily.com - The industry's leading source of FREE online education. Use the links below to access our library of help videos.